For oaking, I set aside some mason jars with 1 oz of medium toast oak chips each. 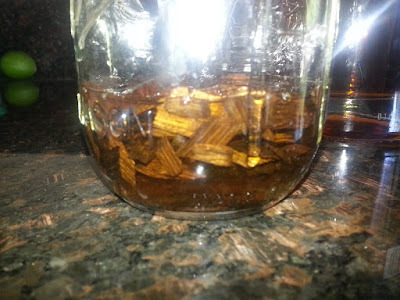 I soaked them in enough bourbon to ensure all the wood was covered. Then I added 1 tsp of homemade vanilla extract to each of the mason jars and left it overnight. 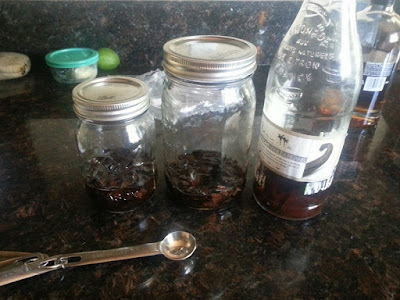 The homemade vanilla extract is still good! 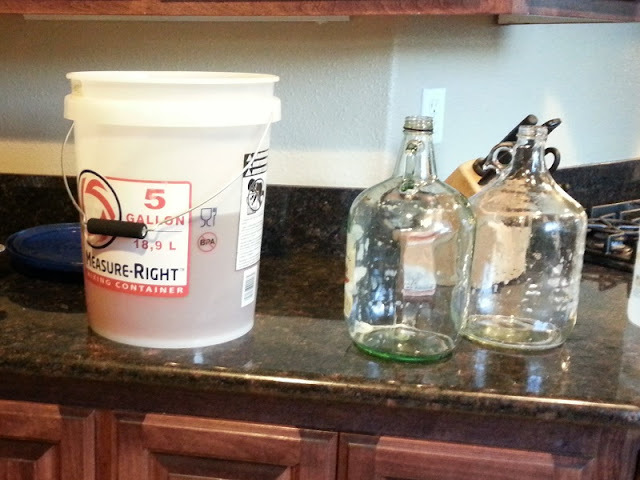 Following the preparations, I added the oak and bourbon mixture to each of the carboys, and racked the mead ontop of it. 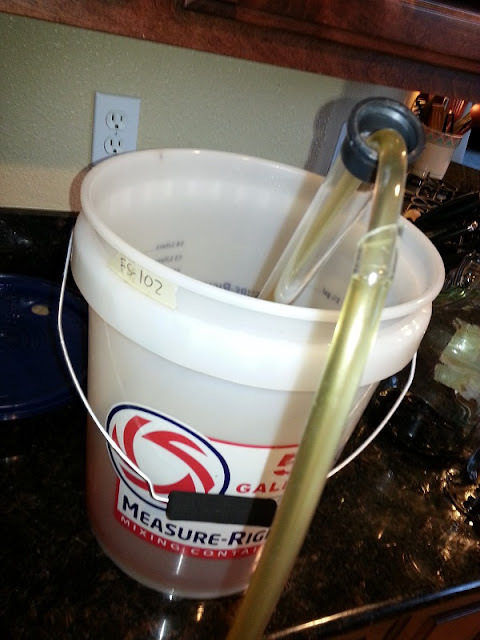 During this time, I also took a gravity reading of the mead. 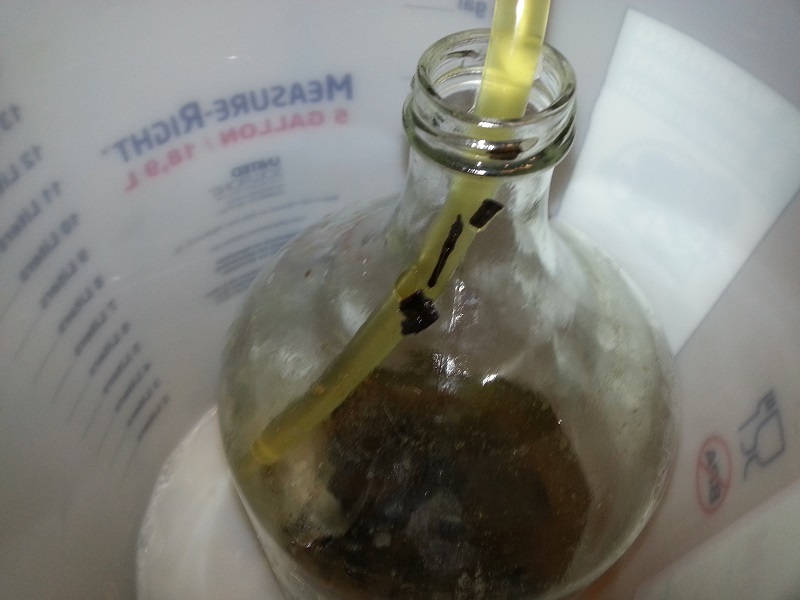 It had dropped to 1.000. This mead should be around 11% ABV, if not greater. 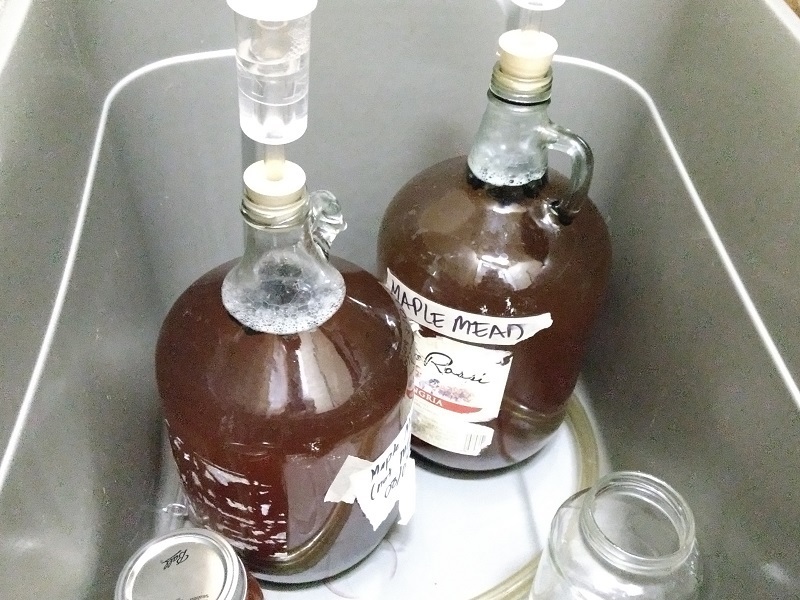 I was able to collect an additional three mason jars worth of mead after filling up the carboys. 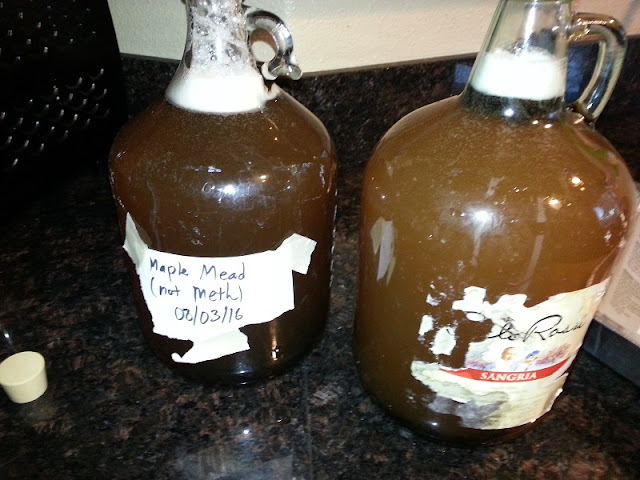 I shall use two of them to top up the mead following oaking, while the other one will be used for taste testing. It's quite good at the moment, but we'll see how this tastes after oaking. 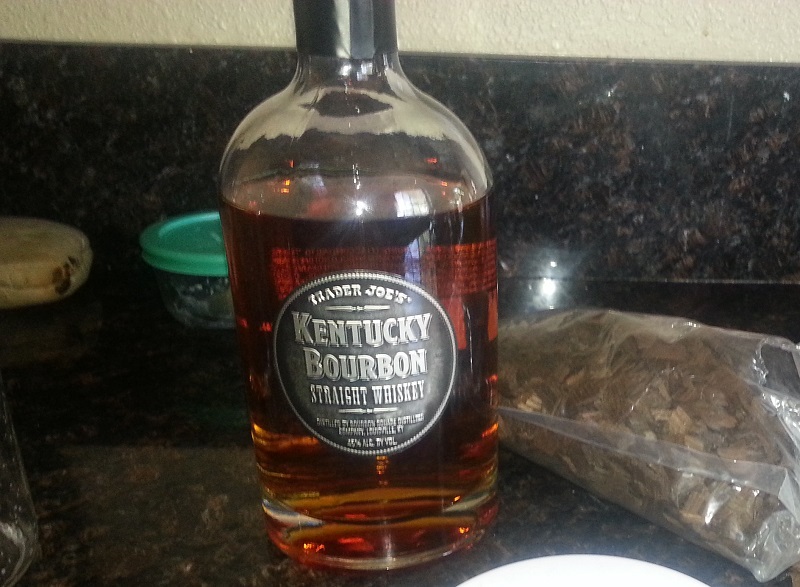 In three weeks, I'll be racking this, only to age it for an additional three months more.